Vittoria Competition Jacket in black with grey contrast accents. 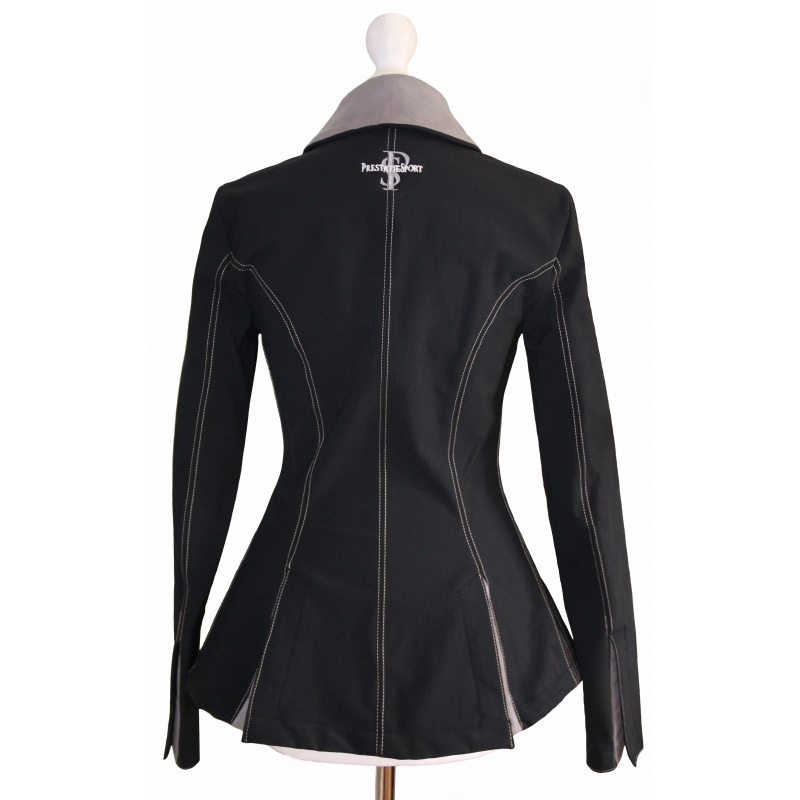 Classically cut ladies competition jacket. Extremely stretchy and machine washable. Sizes 6/8/10 all come up similar - not a big different between them. With a bigger gap between size 10 and 12. Please see the download below for exact measurements.